MANDURAH business owners concerned about the downturn that winter brings are hoping an ice skating rink will make the difference between declining and thriving. So much so, each business is putting up prizes for residents who buy tickets to Mandurah’s Winter Wonderland before August. David Snyder, the man behind the popular Beaufort Festival, is helping Shape Mandurah and local businesses bring their ideas to reality. “The idea for the skating rink came from Jason from Red Manna and Conrad from Jean Pierre Sancho,” Mr Snyder said. “They went around and had a meeting and said what can we do over winter to bring people down? Instead of suffering, there are hopes an ice skating rink on the water will see crowds descend on the foreshore. 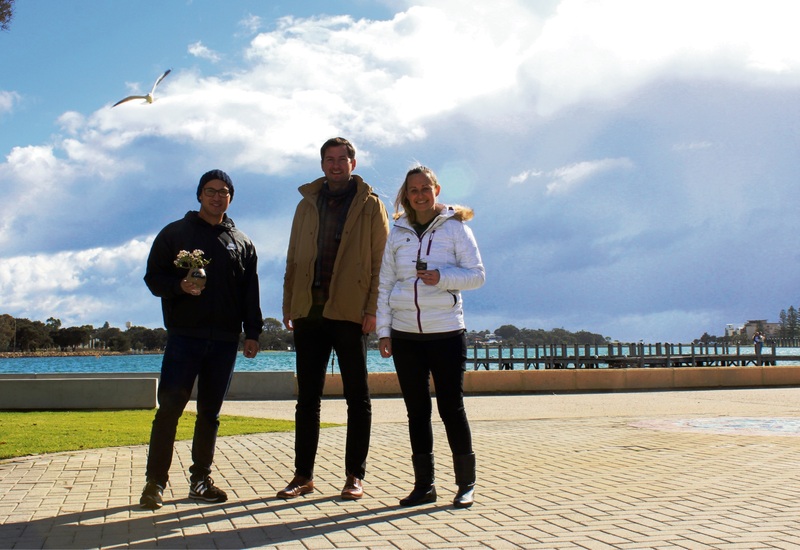 “The skating rink owner said Mandurah will be the most beautiful spot I’ve set it up,” Mr Snyder said. “There will be the cabin bar as well, it’s not just about coming down for 45 minutes and leaving. There will be a special Star Wars day on August 19. Stormtroopers will be coming down from Perth, skaters are encouraged to wear Star Wars gear, and there is a prize for best costume. Coast FM will be hosting live broadcasts on weekends and kids will be able to make snowflakes. Plants with Purpose owners Esther Irvine and Jude Young will be there hosting planting sessions for children. “Events likes this are bring creative minds out of the woodwork and it’s generating a creative feel around town,” Ms Irvine said. 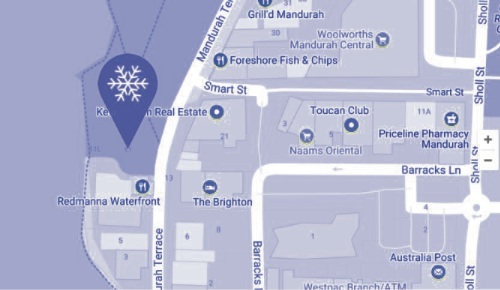 Mandurah Foreshore Winter Wonderland is from August 4 to 27.